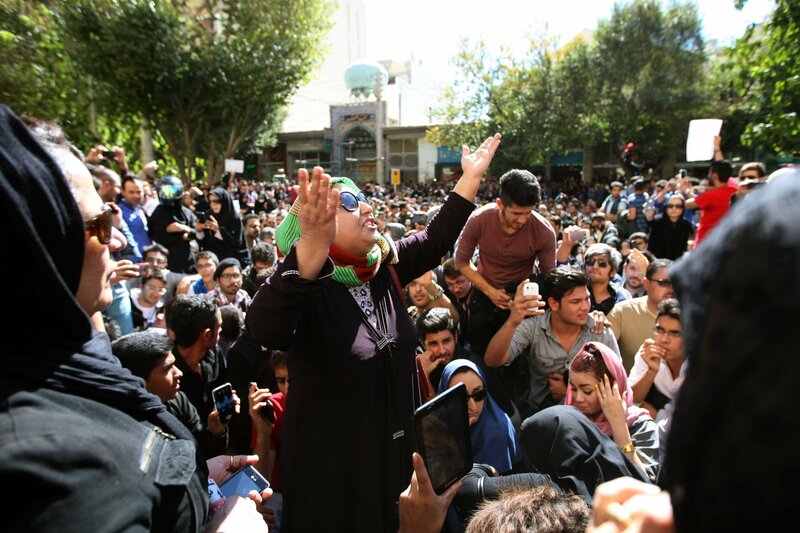 TEHRAN — Thousands of Iranians took to the streets of the historic city of Isfahan on Wednesday to protest several acid attacks on women. The attacks had coincided with the passage of a law designed to protect those who correct people deemed to be acting in an “un-Islamic” way. A local official said on Wednesday that “eight to nine” women had been attacked over the past three weeks by men on motorcycles who splashed them with acid in Isfahan, one of Iran’s largest urban centers and the country’s chief tourist destination. Some of the women were blinded or disfigured.